While fentanyl remains a deadly and unpredictable drug for those who take it, new research from within the RCMP suggests that police officers aren't likely to overdose on the opioid by absorbing it through their skin or inhaling it. "Exposure to people handling the substance is not as high as we thought it was initially," Sgt. Luc Chicoine, the RCMP's national drug program co-ordinator, told CBC News. 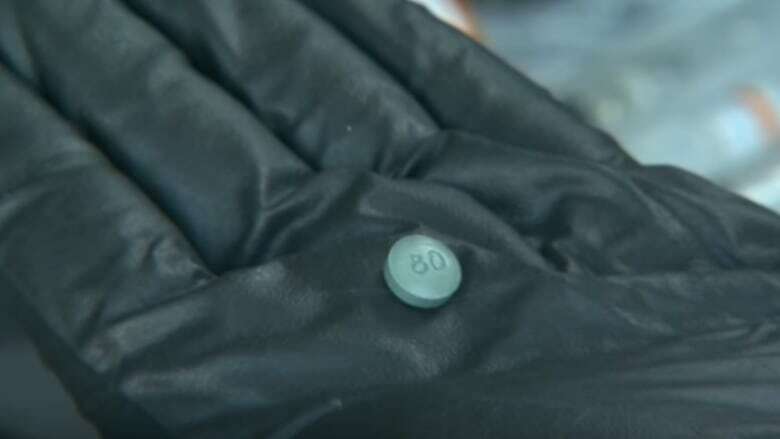 That marks a shift in the RCMP's thinking since just a few years ago, when the police service released a video warning about the dangers fentanyl and other opioids pose to first responders — a line picked up in media reports. Chicoine, who has been part of the RCMP team dealing with Canada's opioid crisis since its infancy, said that when the crisis began, police had to act on a "worst-case scenario." "At that time, the information available on fentanyl was very, very limited," he said. The RCMP's initial caution, Chicoine said, "created a little bit of a monster and fear within our membership and within the community." He cited reports warning people to be wary of touching shopping cart handles to avoid accidentally coming into contact with fentanyl. The force is now reviewing available evidence to help clarify the RCMP's fentanyl policy. The results of that review likely will be shared with other police organizations. "We have created a little bit of a fear and that's what we're trying to solve by doing the full, 'Let's take a step back and take a position for the RCMP,'" said Chicoine. 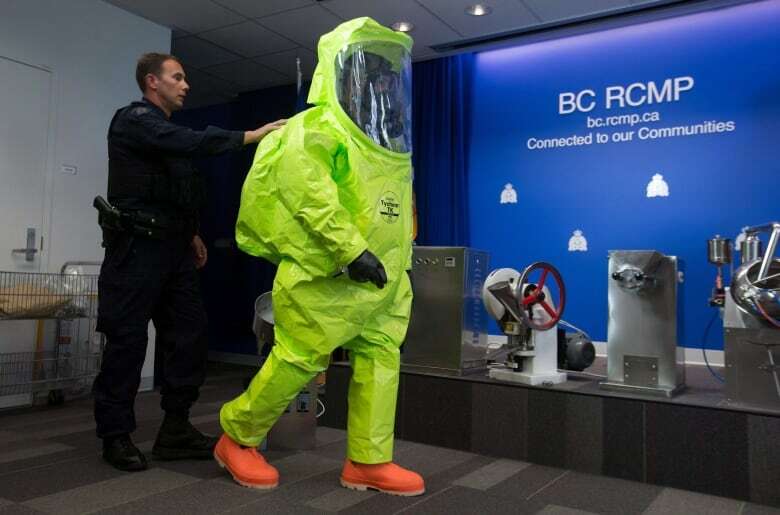 Bruce Christianson, the RCMP's director of occupational safety, said wearing standard protective gear such as gloves and masks should be enough to protect police officers. "When you're actually seizing the drugs, the risk is relatively low," he said. "If you take the proper precautions and you do your job as you should, then the chances of being exposed are not as great as, you know, some may have feared early on in this crisis." "No follow-up toxicology has been done to confirm if it was, in fact, due to an accidental exposure to fentanyl or if it was other psychosomatic symptoms," said Chicoine.